SEOUL, March 24 (Korea Bizwire) – The ‘K-beauty’ market is expanding its sphere of influence beyond Asia, and reaching out to other global markets. According to Aju News, a Korean newspaper, Korean cosmetics brands are exploring new markets worldwide. As the global interest in K-pop and K-dramas is rising, women all over the world are now looking into K-cosmetics. Amore Pacific has been eyeing the international market since the 1990s. After establishing factories in France and China, the company continued to expand its influence worldwide, with products now being sold in the U.S., Malaysia, Indonesia, Vietnam, Canada, Thailand, the Philippines, Singapore, Myanmar, and Japan, generating global sales of 1.26 trillion won. Able C&C’s cosmetics brand Missha is following the lead, spreading K-beauty all over the world. Missha stores can now be found in Brazil, Germany, Mexico, Venezuela, Turkey and Spain. The Brazilian market in particular is expected to generate strong sales growth, as reports show that the local cosmetics market is the fourth largest in the world. LG Household & Health Care’s The Face Shop is focusing on the Middle Eastern market, opening 55 stores in five countries – Jordan, Saudi Arabia, United Arab Emirates, Oman, and Armenia. Cosmetics brands are using a number of different marketing strategies to aggressively target overseas markets. In areas where natural ingredients and safety are important, such as Europe and the U.S., businesses are attracting customers with their ‘natural’ brands. 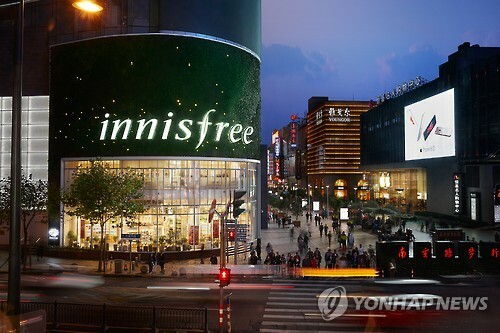 Some brands promote elements of Korean tradition to attract western consumers. Many are ‘blending in’ with the locals through collaboration with local businesses. To boost overseas expansion, the Korea Trade Promotion Corporation (KOTRA) is taking steps to boost sales of Korean cosmetics through American and Chinese online shopping sites. KOTRA will host a ‘K-beauty summit’ to help Korean cosmetics brands export their products. The agency’s ‘online export incubating program’ will be introduced, and is expected to help businesses sell their products through Amazon. KOTRA is also seeking to secure new trading opportunities in China in collaboration with the online shopping site TaoBao, operated by Chinese e-commerce behemoth Alibaba. The two parties plan to host a K-beauty expo in China during the first half of the year. The cooperation with TaoBao is only the start, as KOTRA is also planning to work with other online shopping portals such as JD.com. Officials at KOTRA emphasize the importance of making inroads in the American and Chinese markets to prolong the popularity of the K-beauty trend. They expect to draw the attention of young consumers who are sensitive to fashion and style trends and familiar with online shopping.